Too tired to say much more. If I ever want to move again, remind me how INSANE I must be to even start to consider it! If I ever move again I'm hiring it out! And we have not even really started the move - urgh. 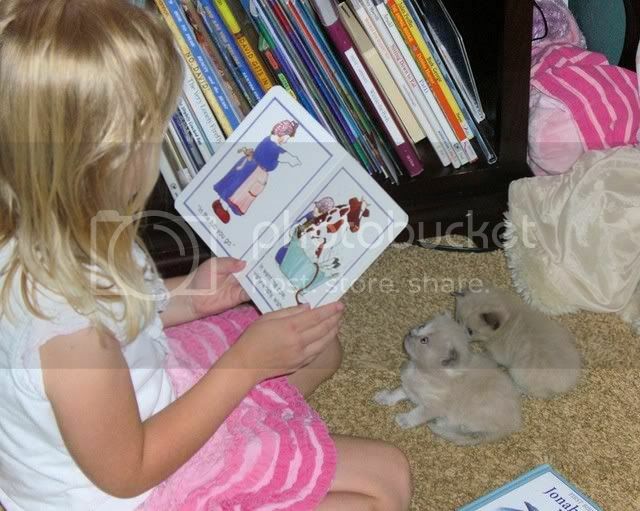 Cute pictures of Lexy reading to the little kittens - ain't it adorable? 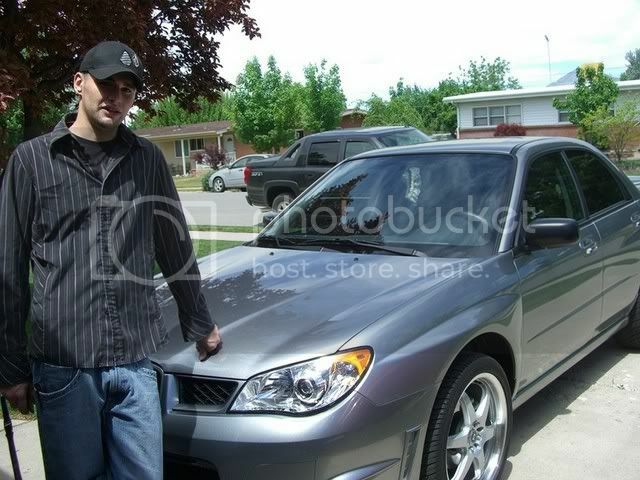 Oh, and here is Justin, my DS#2 and his new car ;) He's so proud of himself - can you tell? LOL! Thought I would take a moment and do Lisa's blog challenge: list the last 5 things you do before you head out the door. 3- Make sure I have a cold Diet Pepsi for the drive, along with my multivitamin for breakfast. 4- Grab my work bag, Lexy's bag and my keys along with anything else I've set out to take. Tag...you're it! See my blog! She is so sweet reading to the cats! so cute reading to the kittens!